There is a lot of criticism, especially from conservative Christians, against those who adamantly refuse to condemn all of Islam and its adherents for the actions of those in the minority who abuse the tenets of Islam to justify committing acts of terror or other atrocities in its name. Those critics claim that refusing to do so is failing to recognize that Islam is evil or intends to take over the world or some other such idea. These claims are usually followed up by quoting various passages in the Koran out of context to justify their hatred. Refusing to condemn all of Islam for the actions of a few radical groups does not necessarily make one blind to the fact that there are concerted efforts by groups like the Islamic Brotherhood (a.k.a. 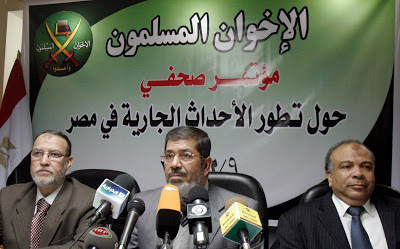 Muslim Brotherhood) to usurp the Constitution and force America to accept Islam as the “civilization alternative.” After all, there is well documented proof (Google: An Explanatory Memorandum On the General Strategic Goal for the Group [The Islamic Brotherhood] In North America) that replacing all other religions in America in favor of Islam is the goal of the IB. It simply means that one is unwilling to blanket all Muslims with the title terrorist. Second hour: Tony Szamboti returns to Truth Jihad Radio! 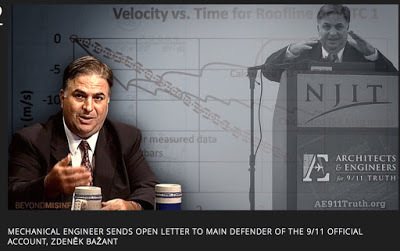 On June 19, 2016, Tony Szamboti, a mechanical engineer who has studied the World Trade Center collapses intensively for the past ten years, sent the following open letter to Northwestern civil engineering Professor Zden?k Bažant. Dr. Bažant is the author of four articles in the Journal of Engineering Mechanics that purport to explain why the lower sections of the WTC Twin Towers provided no discernible resistance to the falling upper sections. This show was broadcast on July 24, 2016. This entry was posted on Saturday, July 23rd, 2016 at 9:36 pm	and is filed under 9/11, Anti-War, Education, False Flag/Fake Terror, Freedom, Kevin Barrett, News, Protest, Spirit. You can follow any responses to this entry through the RSS 2.0 feed.